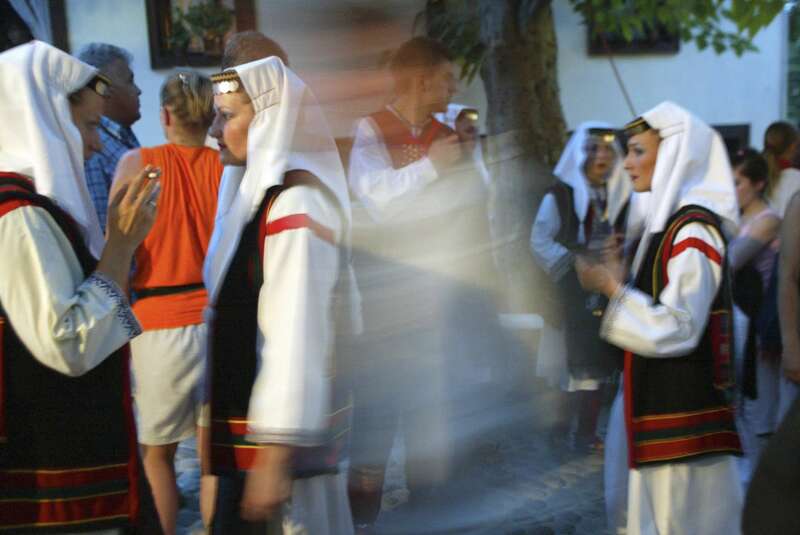 Dancers in traditional Bosnian dress take a cigarette break while waiting to perform in the ceremony that marked the opening of the rebuilt Mostar Bridge. Despite the symbolic significance of the reconstructed bridge, which joins the eastern Muslim half of the city with the Croat, or Catholic, western half, Mostar remains a bitterly-divided community, with little mixing between the two groups. Local Croats chose overwhelmingly to have little to do with the dedication ceremonies.